Galveston’s favorite seafood restaurant, Shrimp N’ Stuff, is expanding to the heart of Downtown Galveston. The new second location has found its home in the historic Washington Hotel Building at 2228 Mechanic St., which fronts 23rd Street and is set to open in early November. The space was previously occupied by Speculoos Patisserie & Cafe and, prior to that, Phoenix Bakery. 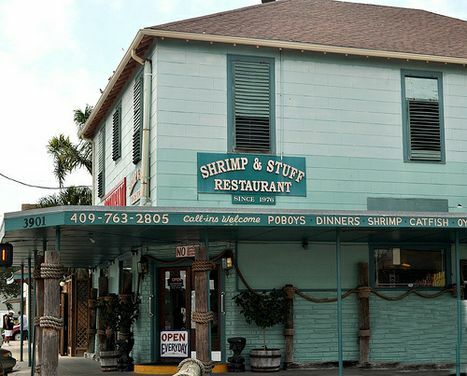 The highly anticipated new downtown addition will be a full-service restaurant much like their flag ship location at 3901 Ave. O.
Shrimp N’ Stuff Restaurant first opened their doors in 1976 and have held the reputation as “the place locals like to eat” for the past 38 years. 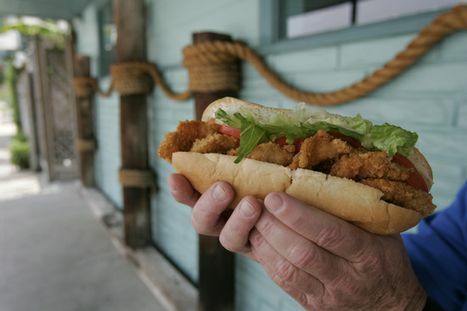 The island eatery cast a very casual vibe while serving affordable, delicious seafood dinners, po-boys, gumbo and salads. Quality, freshness and flavor are among their top priorities, making the gumbo and all of the sauces from scratch daily. Along with the homemade sauces, every shrimp you order will have been peeled, deveined and breaded in house. You can also grab a quick bite from their food truck located on Jamaica Beach on the island’s West End. The new location will embody the same island casualness and the highly sought after menu while adding a few new items. They will offer a variety of breakfast items including breakfast tacos and burritos packaged to grab and go on your way to work and a larger sit down breakfast on the weekends. Grilled and broiled items will also be joining the menu, adding a few health conscious options among the favorites. Last but not least, you’ll have the opportunity to have a cocktail with your meal served from their fully stocked bar. Shrimp N’ Stuff Downtown Galveston location will be open from 7:30 a.m. to close seven days a week. For more information, please visit www.shrimpnstuff.com. Mitchell Historic Properties oversees Galveston properties owned by the Cynthia and George Mitchell family, including three hotels, The Hotel Galvez & Spa, The Tremont House, and Harbor House & Marina, as well as commercial and residential properties located downtown and at Pier 21® along Galveston’s historic harbor. The Mitchell’s ongoing preservation of Galveston’s historic downtown helps spark the resurrection of The Strand National Historic Landmark District and Pier 21® as a tourist destination. “The Mitchell family shares a deep appreciation for Galveston’s heritage,” said Grant Mitchell, President of MHP, “and we remain inspired by the vision of my parents. The buildings they saved speak to us as much as they did to them. 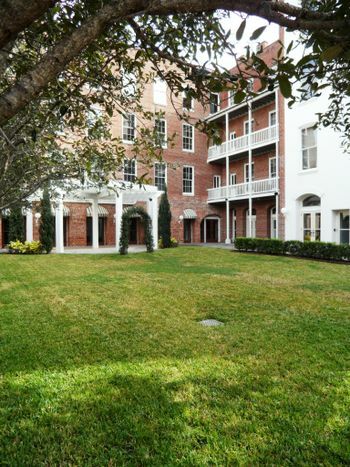 My family is firmly dedicated to preserving my parents’ legacy.” For leasing information, visit www.MitchellHistoricProperties.com or call (409) 761-4110. The new second location has found its home in the historic Washington Hotel Building at 2228 Mechanic St., which fronts 23rd Street. Shrimp n' Stuff's flag ship location at 3901 Ave. O, which opened in 1976.